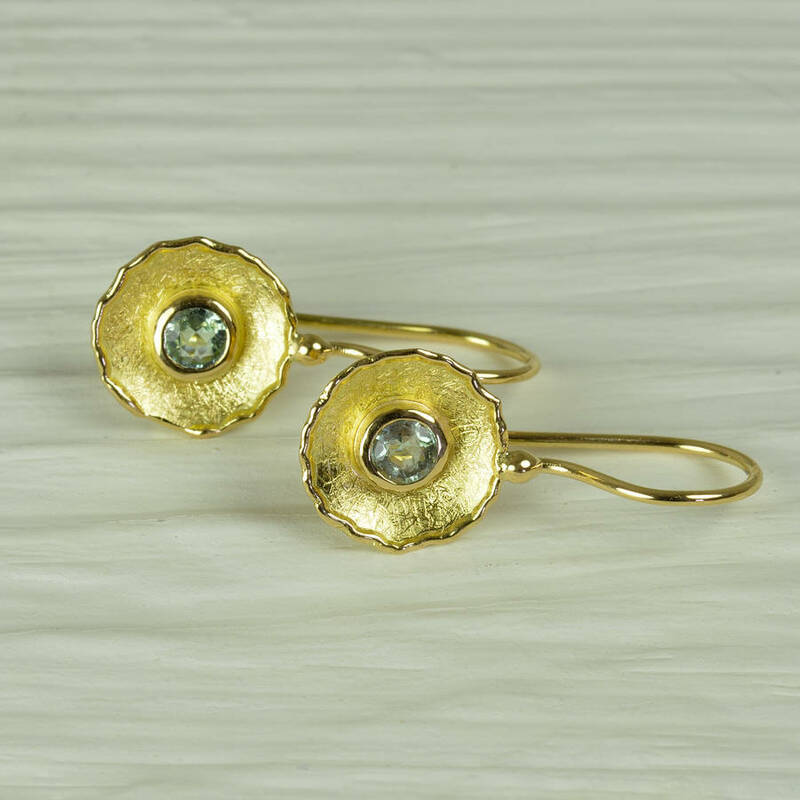 A stunning pair of handmade 18ct yellow gold drop earrings set with faceted green beryll. Elegant yet modern and chic. 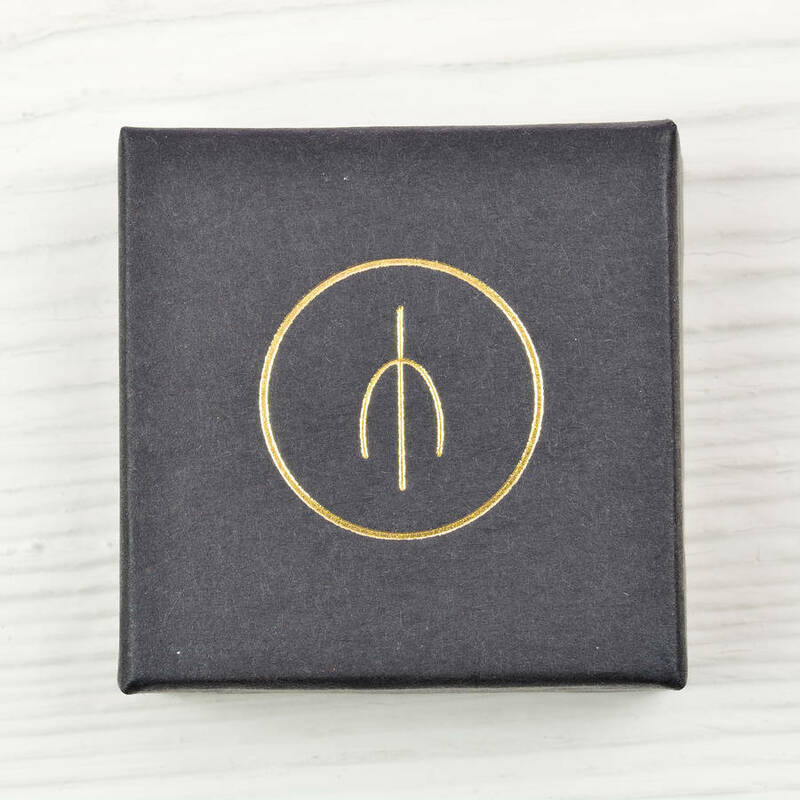 This would make a perfect gift for anyone with a love of modern, elegant fine jewellery. The coloured gemstones are beautifully framed within the textured shallow concave bowls, which is further enhanced by the polished fused edges. They can be worn everyday or on special occasions. If you would prefer a different colour gemstone or diamonds setting into the earrings, simply get in touch. 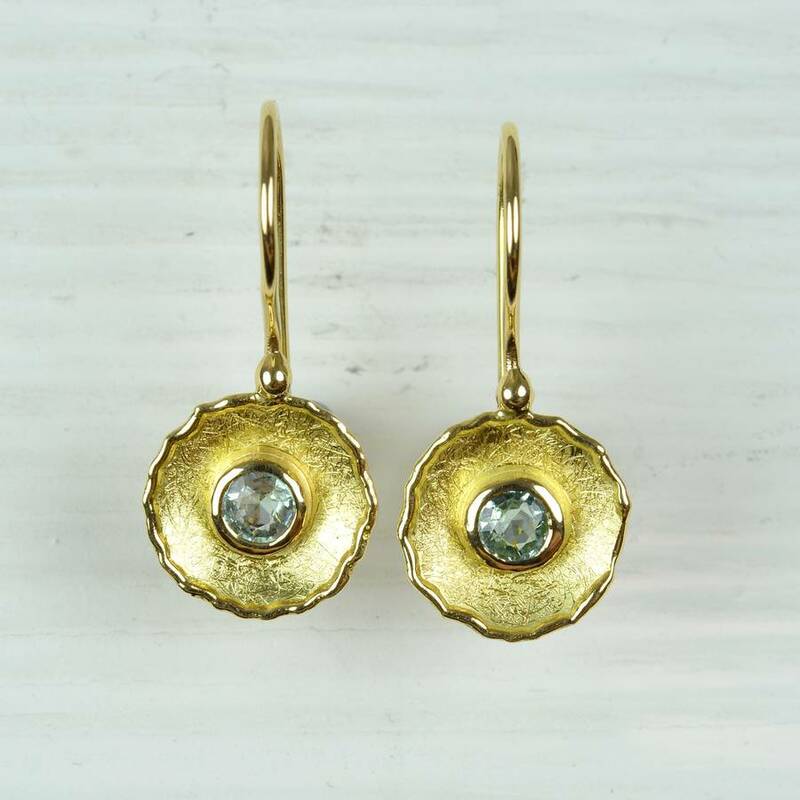 The earrings were made entirely by hand using traditional goldsmithing methods. 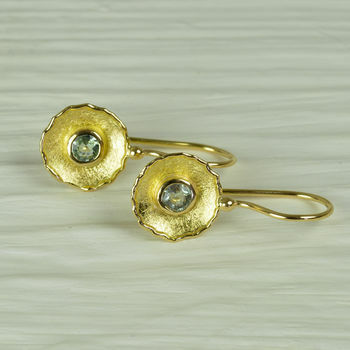 They are made from solid 18ct yellow gold and set with 3.5mm diameter green beryll. Jewellery can be cleaned using a toothbrush and soapy water.